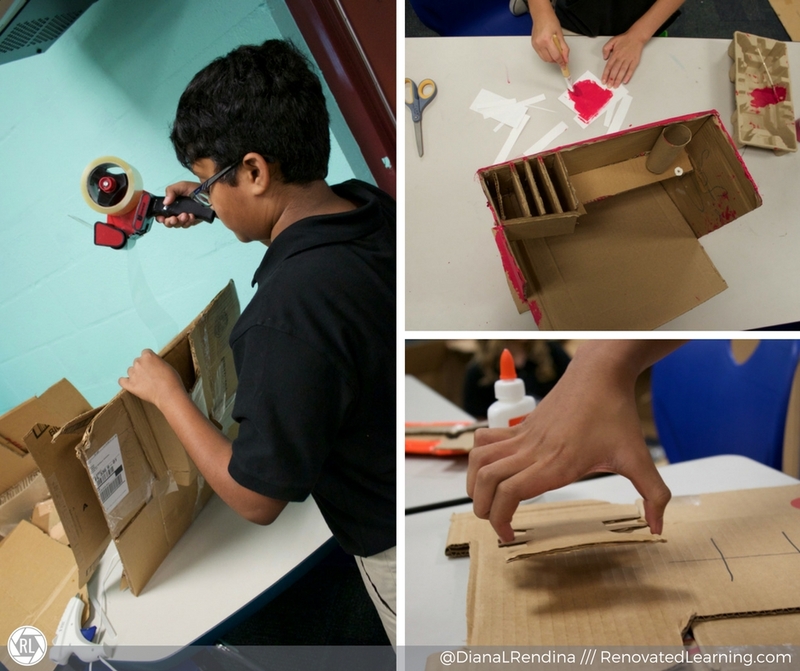 We’ve been doing the Cardboard Challenge at Stewart every year since we first started our makerspace in 2014. See our 2014 challenge here and our 2015 challenge here. 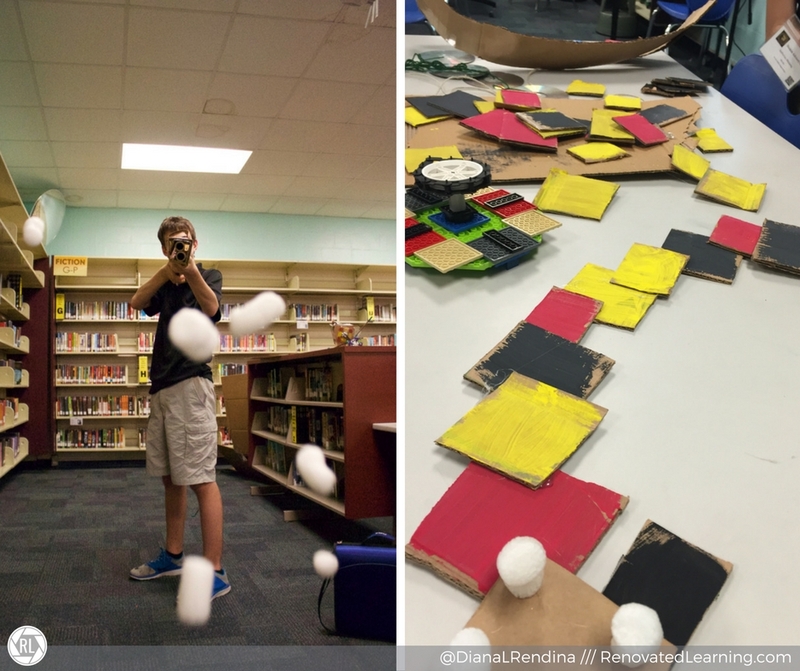 Our challenge is inspired by the YouTube video, Caine’s Arcade and the Global Cardboard Challenge. Every year we start the challenge by watching the video and then I let my students dig in to the cardboard I’ve been hoarding for months. They certainly rose to the challenge this year. 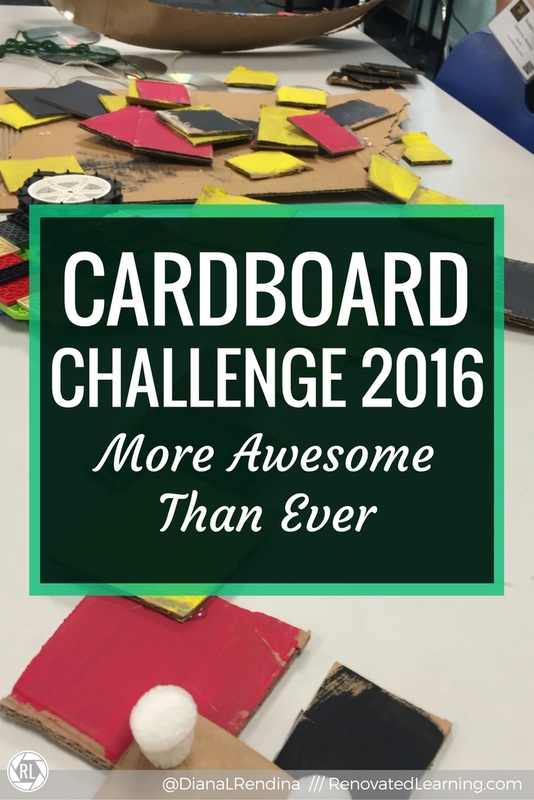 I save cardboard for months ahead of our cardboard challenge. 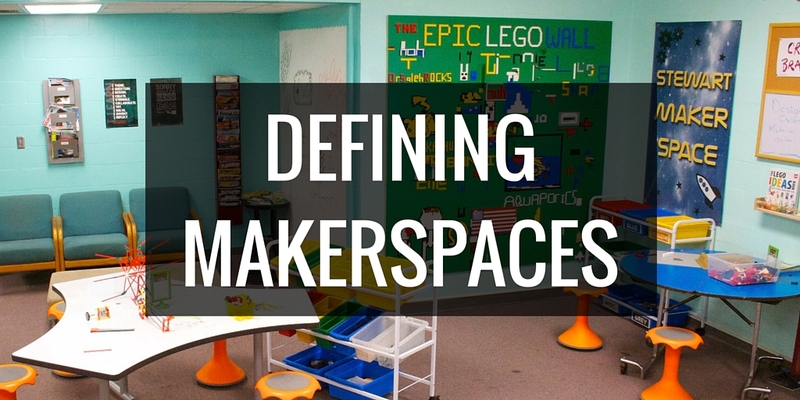 I keep it organized in our Maker Room on a makeshift cart I created (see image in this post). During the challenge, I make several glue guns available, at least three to four Skil cardboard cutters, and tons of packing tape. My students also love acyrlic paint, recycled materials like bottle caps, and lots of glitter 🙂 I keep all of these supplies freely available so that students can easily get what they want. The working cardboard ATM. Insert a credit card and it spits out money. 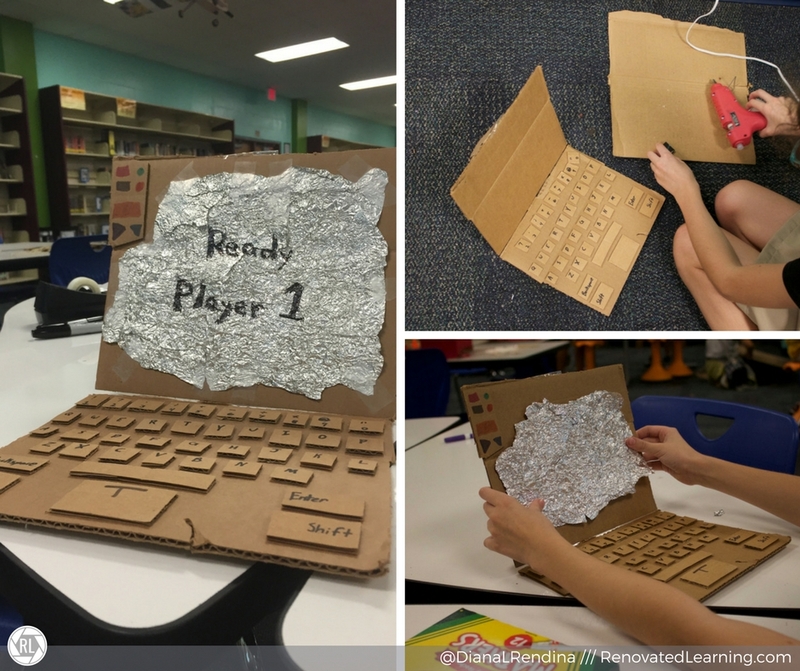 The cardboard laptop, complete with a QWERTY keyboard. Every year, I love to find opportunities to connect my students with other schools and give them an authentic audience. 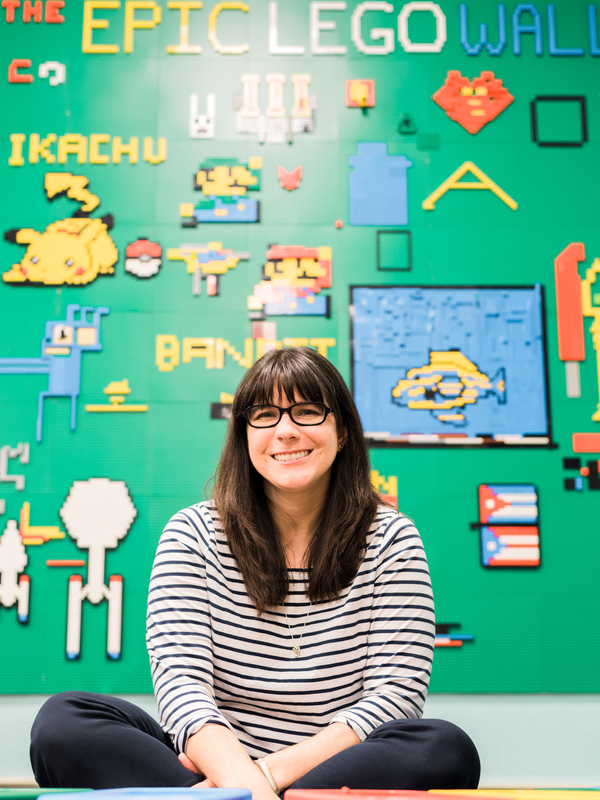 This year, we connected with students at The Stokie School in Winnetka, IL. You can read about it in my AASL Knowledge Quest article. My students had an awesome time and were super excited to share all about their projects. 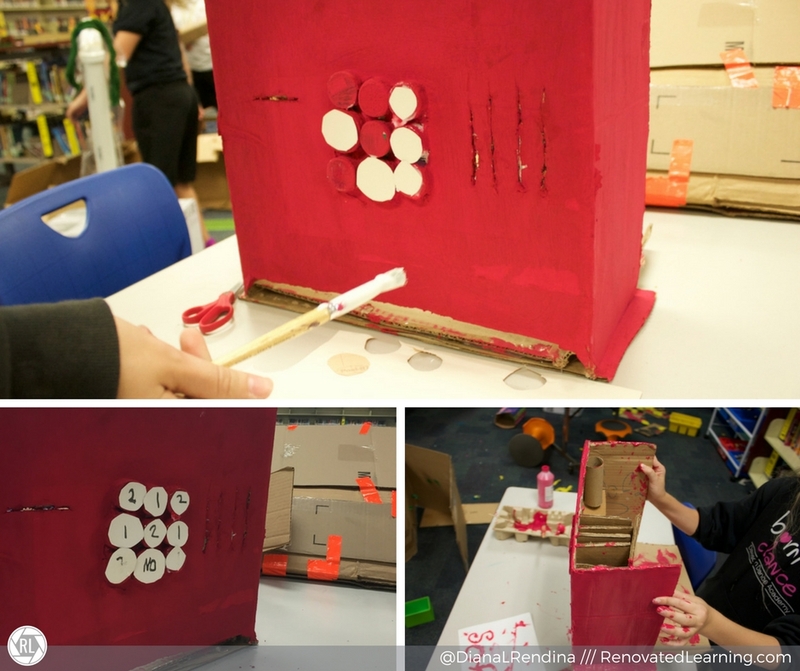 Have you ever held a Cardboard Challenge with your students? What kinds of projects did they create?